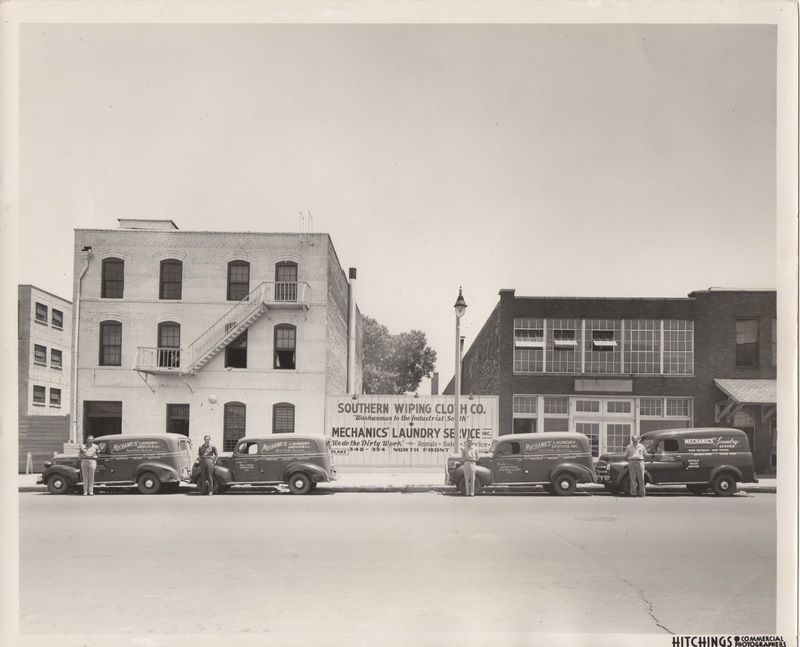 c. 1949. 348 North Front Street, Memphis, TN (across from current Bass Pro Shop). President (and route driver) Morris Caen at right (others unknown). 1950s. From a newspaper ad campaign. 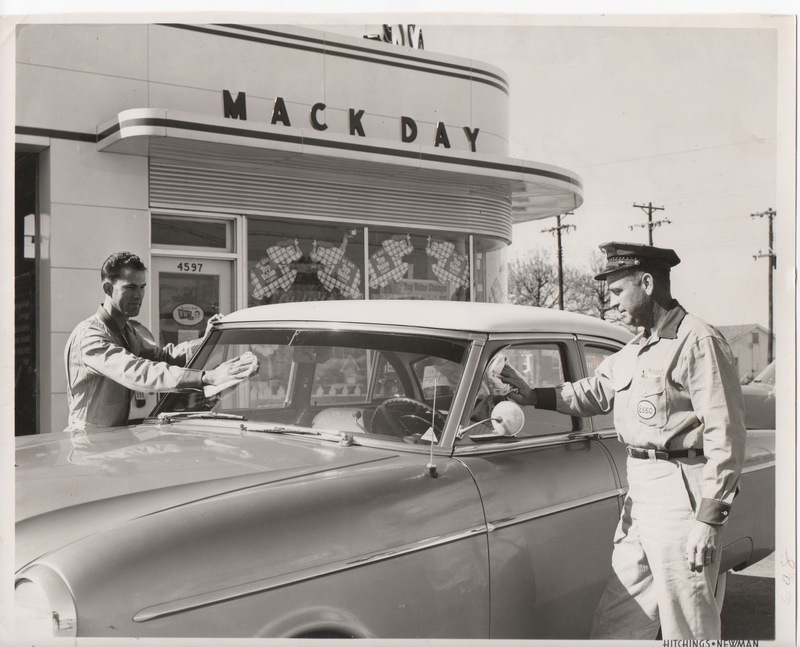 Mack Day was one of the firm’s well-known clients.